From the bestselling author of Charlie and the Chocolate Factory and The BFG! Danny has a life any boy would love--his home is a gypsy caravan, he's the youngest master car mechanic around, and his best friend is his dad, who never runs out of wonderful stories to tell. But one night Danny discovers a shocking secret that his father has kept hidden for years. Soon Danny finds himself the mastermind behind the most incredible plot ever attempted against nasty Victor Hazell, a wealthy landowner with a bad attitude. Can they pull it off? If so, Danny will truly be the champion of the world. 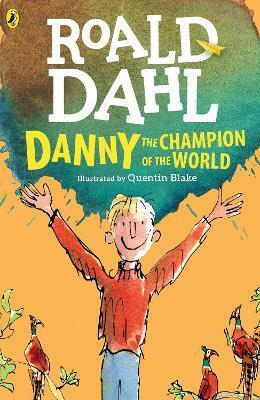 Roald Dahl (1916-1990) was born in Wales of Norwegian parents. He spent his childhood in England and, at age eighteen, went to work for the Shell Oil Company in Africa. When World War II broke out, he joined the Royal Air Force and became a fighter pilot. At the age of twenty-six he moved to Washington, D.C., and it was there he began to write. His first short story, which recounted his adventures in the war, was bought by The Saturday Evening Post, and so began a long and illustrious career. After establishing himself as a writer for adults, Roald Dahl began writing children's stories in 1960 while living in England with his family. His first stories were written as entertainment for his own children, to whom many of his books are dedicated.